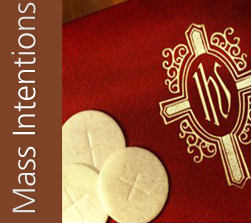 Our Book of Mass Intentions for 2016 will be opened on Wednesday, April 15, at 10 am in the rectory. 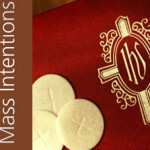 In order to accommodate as many parishioners as possible, there is a limit of 10 Masses, per person, for the first month the book is open. OLQM offers other ways to remember our loved ones all through the year. Information about arranging memorials of the weekly Wine and Hosts, Flowers, and Sanctuary Lamp, as well as memorializing candles at the Sacred Heart of Jesus Altar, can be found here.